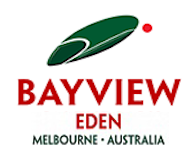 Surrounded by green parks and minutes from the beach yet within easy reach of buzzing downtown Melbourne, Chapel Street shopping and nightlife, the Bayview Eden Melbourne has the best of both worlds. Many of our hotel’s 192 comfortable, stylishly refurbished rooms and suites overlook the picturesque Albert Park with its lake and golf course, while the rooftop spa and gym provide panoramic views of the Central Business District skyscrapers. Both leisure and business travellers choose to stay at our hotel for its convenient location and unique blending of 19th-century architecture and contemporary creature comforts. Upon arrival, you will find the carefully restored Victorian-era Netherby Mansion, which connects seamlessly with the adjoining modern-day accommodation. Families with young children enjoy close proximity to the beach at St. Kilda and the rides and attractions of Luna Park Melbourne. Families with older kids can jog and play golf in Albert Park, while couples travelling childless on Melbourne weekend breaks can visit the late-night bars and clubs of Southbank and Chapel St. There’s plenty for Melbourne sightseers to discover within walking distance, from the Royal Botanic Gardens to the world renowned Melbourne Cricket Ground. Thanks to our proximity to the CBD and our extensive meeting and conference facilities, the hotel is a prime choice for business travelers, who stay easily connected with free WiFi. During your stay you can keep up your wellness routine with a swim in the heated indoor lap pool or a visit to the rooftop spa and gym. You can also enjoy some free time playing billiards in the 19th-century Netherby Mansion. Whether working or sightseeing, you can relax at the end of a long day with an expertly mixed cocktail in the Niche Bar. Afterwards dine on Modern Australian cuisine at its best in the cosy, informal Niche Café or enjoy treats from our 24-hour room service. Getting to our hotel couldn’t be easier. It’s 35 minutes from Melbourne Tullamarine Airport (MEL) by taxi or car and a mere 10 minutes by tram or cab from Flinders Street station, which is the gateway to the office blocks, restaurants and bars of the CBD. If you’re driving, our secure underground car parking is available for just 15 AUD a day.